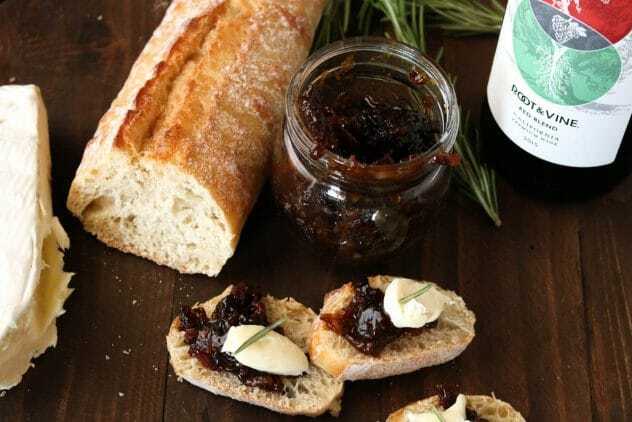 Bacon Jam – the perfect crowd pleaser! The first time I tried bacon jam I wasn’t sure what to expect. Would it be sweet? Would it be salty? 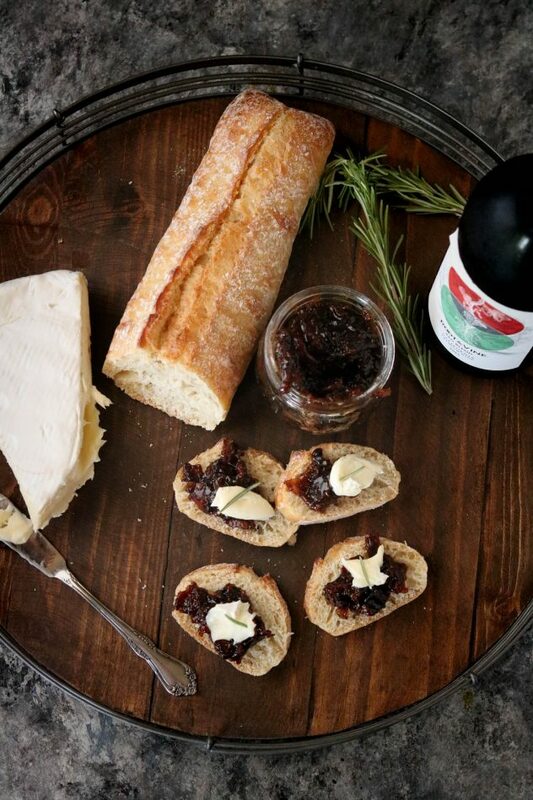 It’s actually a mix of both, which makes it the perfect companion to your next cheese + wine board. 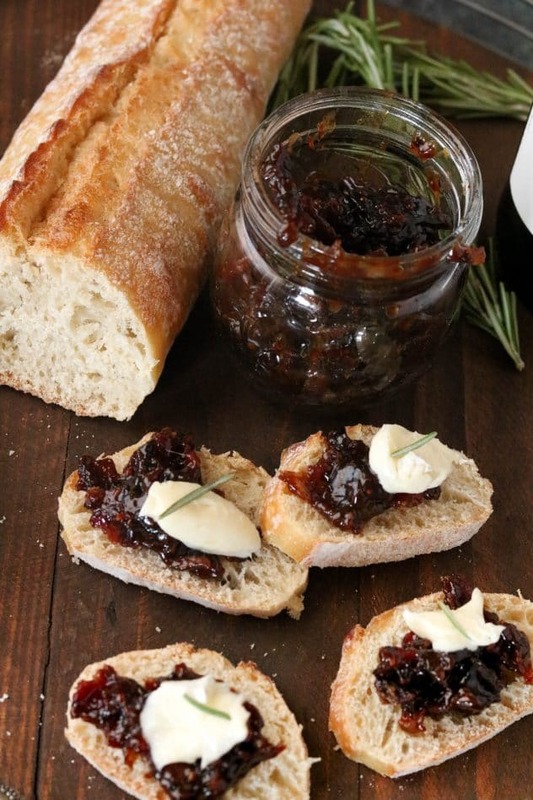 The bacon plus onions gives the jam a savory feel to it, then the sugar adds in a hint of sweet. I’m dreaming about all the possible combinations for this jam! 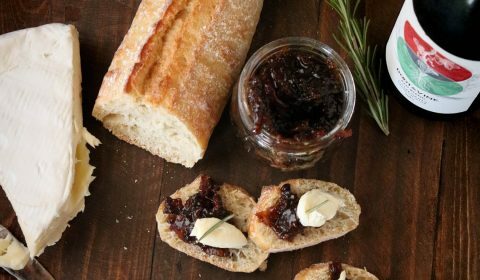 This sweet + savory bacon jam is the perfect addition to your next meat & cheese board. In a large skillet, cook the bacon. Set bacon aside and drain the skillet, leaving 2 tbsp. of the bacon grease. Add the onion and minced garlic to the bacon grease and sauté over medium heat until soft, making sure not to overcook and burn. Crumble the bacon and add back into the skillet. Add in all remaining ingredients and stir frequently, bringing to a simmer. Continue stirring often until the mixture thickens. This is when you want to be very careful not to overcook the sugar. Once it thickens, remove from heat, add to a small jar and let cool. Store in refrigerator for up to 3 weeks.